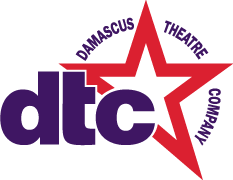 DTC is currently seeking submissions for the 2018-2019 season. Area directors are encouraged to submit proposals for musicals or plays that will appeal to a broad base of performers and audiences. We are seeking musicals, comedies and dramas specifically geared toward smaller stage and venue size for the second half of our regular season, especially the Spring/Early Summer 2019 shows. Spring/Summer 2019 show will be at a smaller venue such as the Arts Barn or Olney’s Black Box theater. We plan to submit a smaller scale production to the Arts Barn Theatre for consideration in their June 2019 time slot, however acceptance is never guaranteed. We will also consider Holiday themed show proposals for the late November or early December time slot. Show Overview including title, author, cast size, and age ranges of cast members, orchestra size (minimum to maximum), usual running length, list of songs, and brief synopsis. Personnel – do you have anyone in mind for production crew such as music director, stage manager, choreographer, designers, etc.? Resume of previous directing, producing and/or acting experience, including background in music. Email your submission in Microsoft Word or Adobe PDF format to the Executive Producer, Carol Boyle at: brandtandcarol@comcast.net by December 1, 2017.